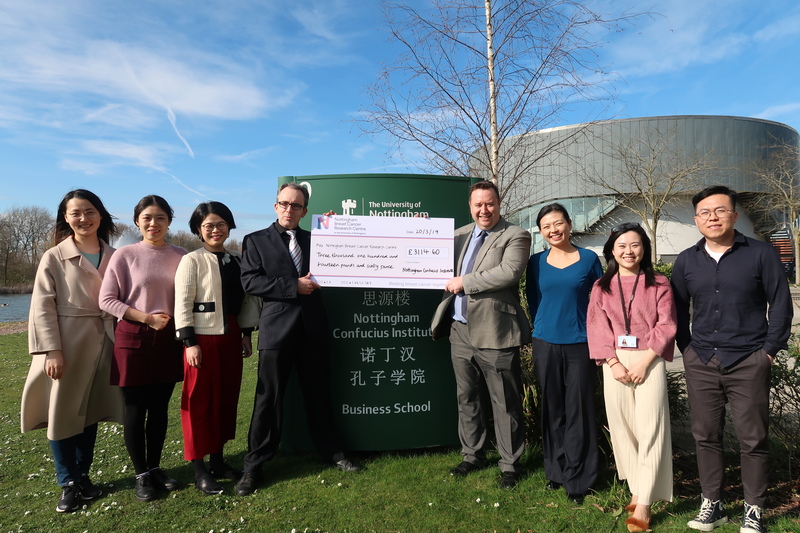 A programme of Chinese New Year celebrations has raised more than £3,000 for the Nottingham Breast Cancer Research Centre. The Year of the Pig was celebrated with activities delivered by the Nottingham Confucius Institute and Lakeside Arts. Nottingham Confucius Institute teachers and student volunteers ran community arts and crafts activities at the Angear Visitor Centre. And the Djanogly Theatre staged three gala shows on February 9 and 10, featuring the performance team of the Confucius Institute for Traditional Chinese Medicine and several local artists. Alongside Nottingham Confucius Institute and Lakeside Arts, the galas were organised by the University’s Asia Business Centre and Hino Travel. There were a number of performances from professional artists, including Chinese Erhu, Guzheng and Bamboo Flute music, Huang Mei Opera, folk dance and spectacular group-coordinated Kung Fu routines. It was a wonderfully entertaining combination of different styles across dance, music and martial arts, successfully showcasing the depth and diversity of old and new China; the perfect way to greet the Year of the Pig. The money, raised by generous audience donations, will support the Nottingham Breast Cancer Research Centre as they bring together more than 100 scientists, researchers and clinicians in a bid to make the next big breakthrough in the battle against the disease. The Nottingham Confucius Institute was established in September 2007 as a not-for-profit joint venture between the University of Nottingham, the Office of Chinese Language Council International (also known as Hanban) and Fudan University. Its mission is to build understanding, friendship and opportunity for people in the UK and China through language learning and the development of cultural, educational and economic links. Drawing upon resources from the University and its partners, the Institute has an extensive language and cultural programme at the University alongside outreach and engagement with schools and the East Midlands community.